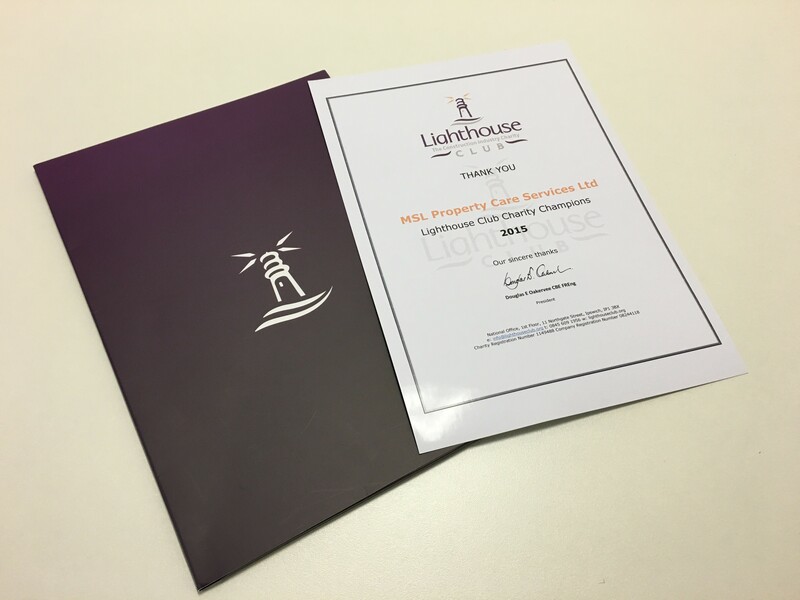 MSL are pleased to have become a champion for the Lighthouse Club Charity. In respect of money raised at our bi-annual Safepartner conference held in Leeds the lighthouse charity nominated us as one of the champions for the charity. A respectable £526 was raised throughout the event and we are pleased to have been awarded our certificate of thanks from the Lighthouse Club. Provide.. financial assistance, welfare and wellbeing advice and emotional and legal support to the Construction Community to relieve hardship and stress. Promote.. initiatives aimed at avoiding accidents and improving safety on construction sites. Support.. educational initiatives aimed at improving employment conditions and career opportunities within the construction industry.